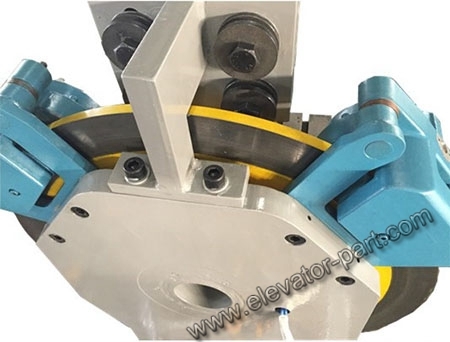 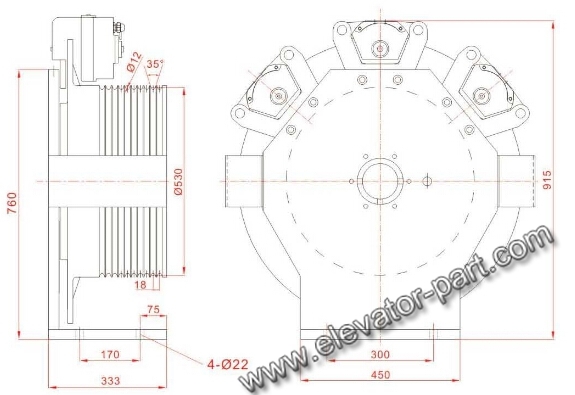 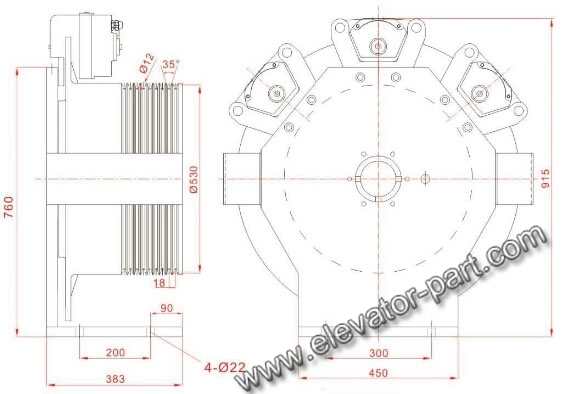 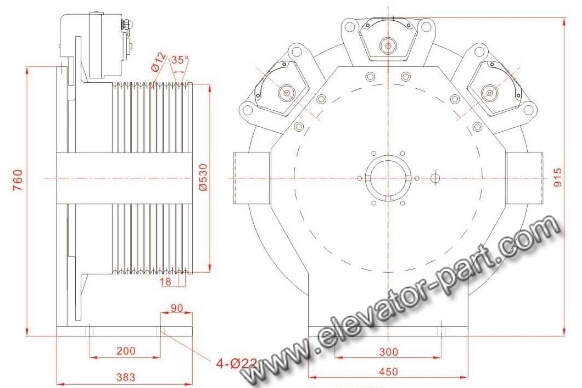 Elevator motor machine bearing structure with the new "flip" outer rotor system, making the radial load structure stress and deformation is reduced to below 20% of the traditional way, so axial load capacity has been greatly improved, spindle bearing to abandon the traditional shaft structure and the use of the optimization of spindle structure, bearing inner ring dose not rotate and rotate the outer ring, so that the spindle will only bear static load and will not be subject to long-term repeated bending force and is completely eliminates the possibility of the main shaft of the cantilever bending fatigue fracture. 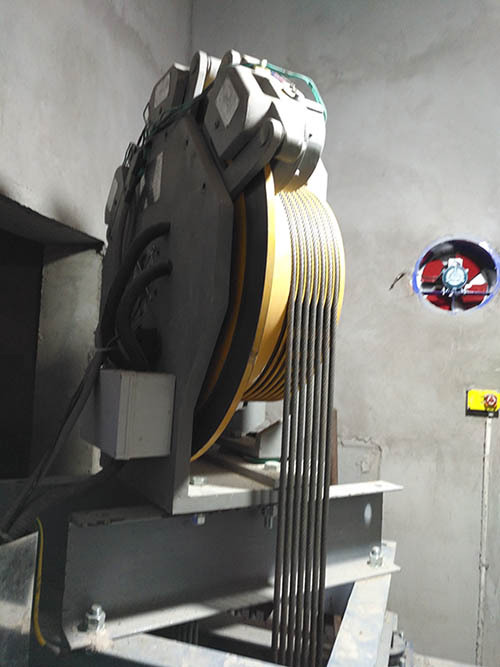 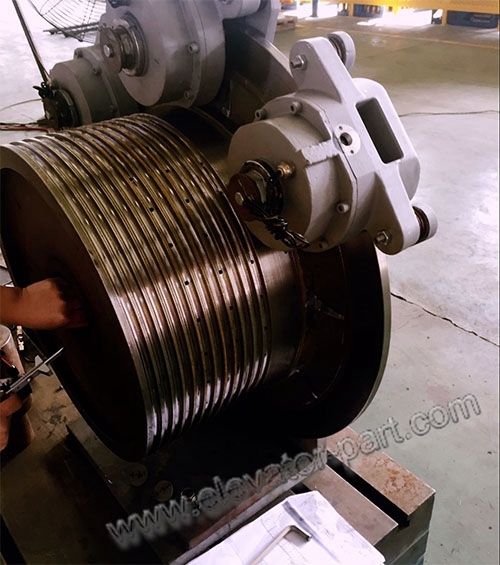 The motor part of the traction machine the international lastest fractional slot CWCOIL, significantly reduced the internal resistance of the windings, which improves the efficiency of the motor. 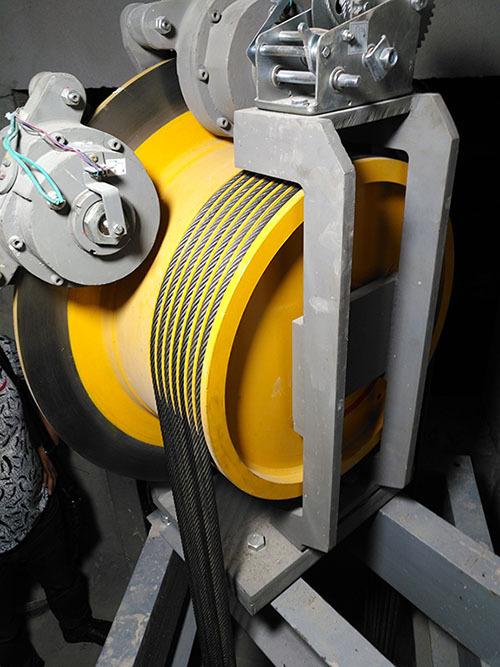 The configuration of the German technology high-grade disc brake traction machine superior performance!